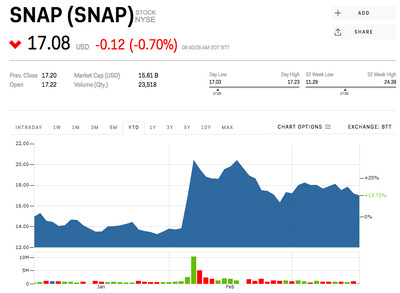 Jefferies analyst Brent Thill said that the negative attention could get Snap more users. Watch Snap shares in real time. Investors have been quick to dump shares of Snap when it gets called out by a celebrity – like they did on Thursday when Rihanna drew attention to an ad on Snapchat that makes a joke out of domestic violence.Snap apologised and pulled the ad, saying it violates the messaging platform’s guidelines and was approved in error. 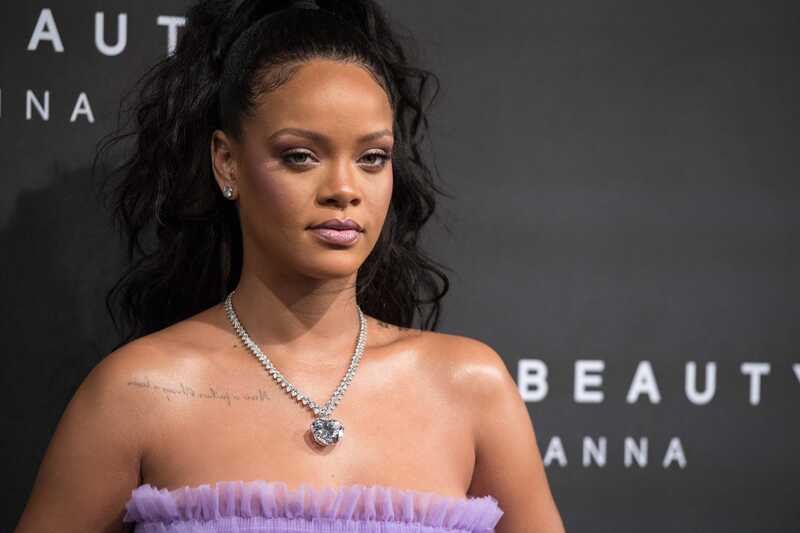 The ad asked users, “Would you rather slap Rihanna or punch Chris Brown?” a reference to when Brown assaulted his the singer in 2009. This isn’t the first time this year that Snap has experienced a wave of negative attention surrounding a celebrity. Less than a month ago, Kylie Jenner tweeted she doesn’t use the platform anymore, sending the stock reeling 7%. Jenner has since gone back to using the platform. And perhaps most importantly for Snap Thill says he doesn’t think the negative headlines will have a “material impact” on ad revenue. Furthermore, he thinks that Snap can follow Facebook’s model for handling the issue. Snap, he says can become “a more proven platform,” like Facebook. Snap shares are up 17.7% this year.